We collect offerings of food on a weekly basis and extend this collection to include Christmas hamper support in November and December. In addition to this, in 2010, we responded to the plea for Shoe box items. This was an overwhelming success and we would like to help everyone who contributed. 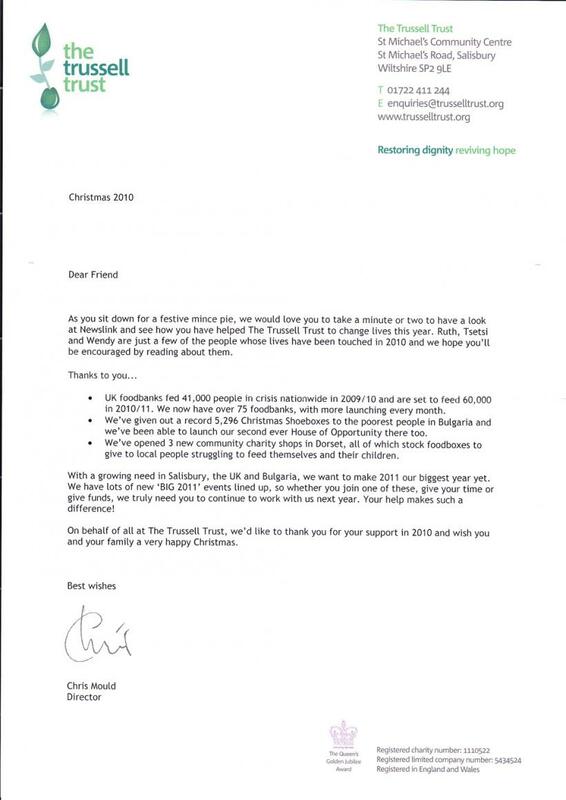 In May 2010 we even took part in the Trussell Trust Spin Bike Challenge and raised over £194.